What Are The Benefits of Ju Jitsu? I've Never Done a Martial Art Before, Am I Going To Be Out Of My Depth? Is A Black Belt Automatically A Ju Jitsu Teacher? What Happens When I Turn Up For The First Time? Will I get Thrown Around On My First Session? If I Come Along With A Friend, Will We Be Able To Train Together? What If I Come Alone? I Am Female - Will There Be Any Other Women Training? I Am 16 Years Old, Will I Train As An Adult Or As A Junior? I Am Not Very Fit - How Will I Cope? Will Ju Jitsu Make A Difference To My Self Confidence? What About Competitions - Do I Have To Compete? Do I Have To Join The Jikishin Ju Jitsu Association? How close is Ju-Jitsu to full Olympic Status? How long has the Jikishin Ju Jitsu Association been in existence? Self-defence is defined as the actions taken by a person to prevent another person from causing harm to them, their property or home. Self-defence is also accepted as an act of justified violence against unjustified aggression. Self defence is also the study of effective fighting techniques for the purpose of defending oneself against aggression. The techniques are usually dirty, nasty things, which can rapidly injure and therefore disable the attacker without relying on a tremendous amount of physical strength and dexterity. Martial arts techniques can be helpful in self defence situations and the defender must understand the difference between practicing a Martial Art and taking measures to defend one’s person and /or property. In martial arts competition, there are rules, and the idea is for you to beat your opponent within the rule structure.. In self defence, the only rules are to get the aggressor to cease their attack, in order to give you an opportunity to escape. Ju Jitsu is fun, and you will be learning new skills, this is a benefit in itself. If you are unfit, Ju Jitsu will help you to address this, and increase your personal safety and self confidence. The Martial Arts are the study and application effective fighting techniques. It is this effectiveness which allows a proponent to defeat a much larger opponent. People study martial arts many reasons. One of the main reasons that students commence training in the Martial Arts is to learn how to defend themselves. Many drop out during their career in Martial Arts due to lack of motivation, illness or injury, boredom, or sometimes life simply changes and no longer allows training. However, the for those who persevere, often the motivation becomes one of self improvement. There are many schools and styles of martial arts, and these are generally thought of as having been started in the Orient and brought to the West, however, the Martial Arts include “Western” sports such as boxing and wrestling, Brazilian styles such as Capoeira, Russian (Sambo), French (Savate) and so on. Ju Jitsu is a Japanese Martial Art which includes all aspects including striking and kicking, joint manipulation, throwing, choking and strangling and grappling. No. Jitsu is excellent for beginners, and all of the people you meet in Ju Jitsu started as a novice – even the very few 10th Dans among us! All of our instructors are former students and will teach you in a time and experience led regime – the Syllabus is set up to introduce the beginner to some very strong, but simple techniques. The classes are taught in an open atmosphere, and the students you meet of whatever grade, know what it was like to start. The learning process is gradual, and progress is monitored so that each student receives the tuition required for their individual ability. The BJJA (GB) also have a Child Protection Policy in place which all instructors are obliged to abide by. Whilst in many Martial Arts, the throws and strikes are referred to by their Japanese names; we use English to describe all of the techniques within the Syllabus. We feel that our students come to learn to defend themselves, not to learn to speak parts of a foreign language. However, there are certain terms that derive from the origins of Ju Jitsu, the training place is still known as a dojo, the teacher of the class is known as sensei, and the traditional bow at the start and finish of lessons is referred to as a rei. Firstly we get changed and ready to train. 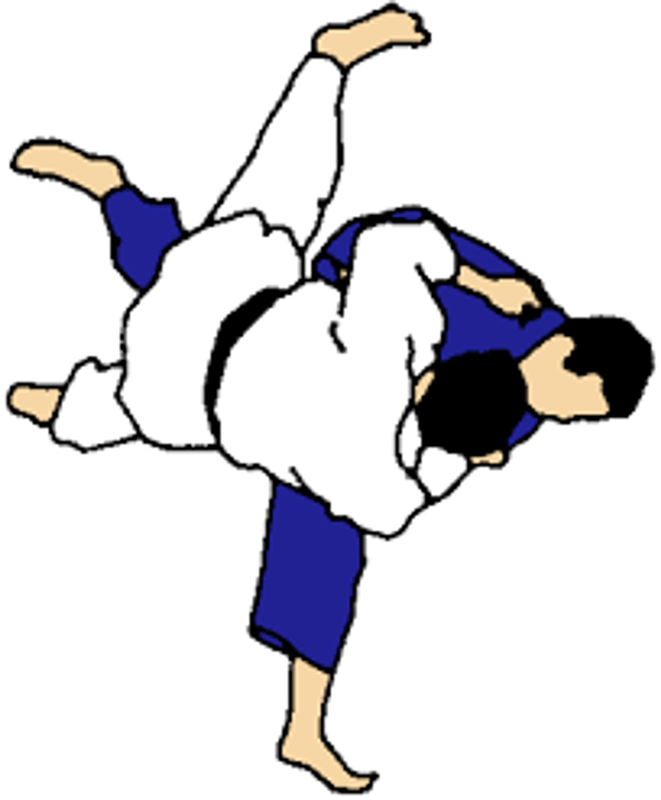 Then we will teach you the basic Breakfalls, Exercises, the start of the White Belt Syllabus. 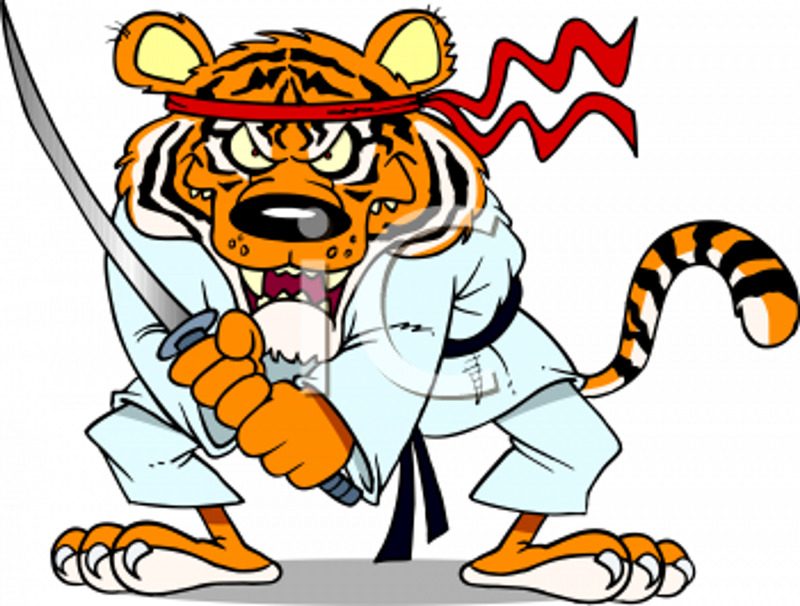 You will be introduced to the Instructors at the Club, registered (you will have to fill in a Jikishin Ju Jitsu Association Membership Form), and the training regime will be explained, Dojo Etiquette is explained and demonstrated. You will line up for the formal start of the class with all the other students. You will not start getting thrown until you have practiced Breakfalls and are competent our opinion. Yes, in fact we encourage beginners who start as a pair to work together and as most of the lesson is taken up with partner work, this usually works out fine. Most students start training this way, we will introduce you to a training partner, of a similar grade , You will then train with your partner throughout the rest of the session. For the first session you will need to wear a pair of Track Suit Bottoms and a long sleeved T-shirt - we train in bare feet, so no footwear is required. Any Jewellery will need to be removed, or in the case of a ring which cannot be taken off, covered with a sticking plaster. At some point before your first Grading you will need to purchase a training uniform, or Gi. Lessons vary per lesson for Seniors and for children - each club has its own charging policy, usually around £ 8.00 per lesson for adults and £ 4.00 for Tigers and £ 4.50 for juniors at many clubs on a pay as you attend basis . 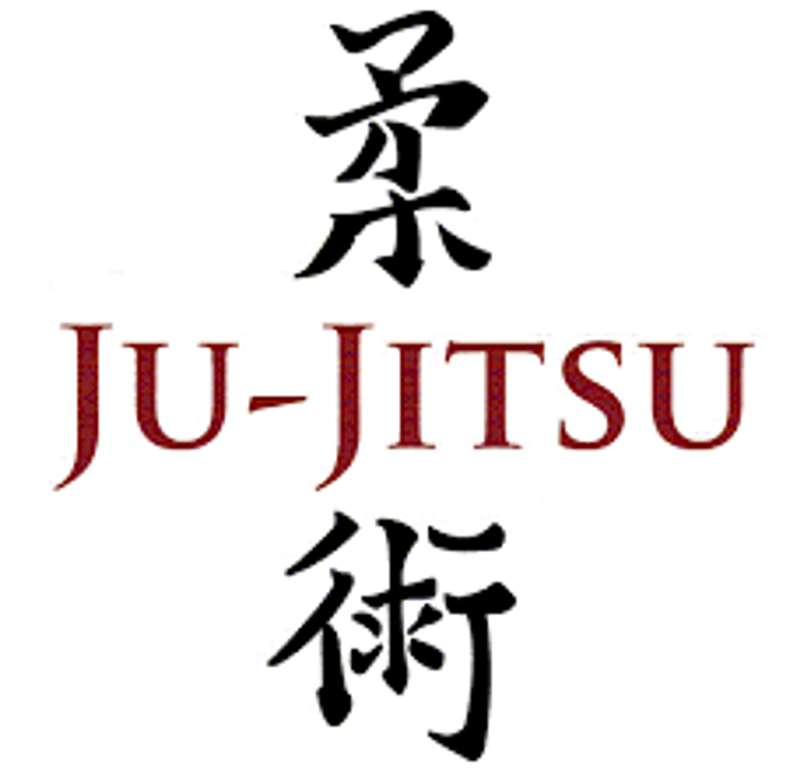 Because Jikishin Ju Jitsu is widely practiced, there are clubs training on every day of the week, so you can tailor your training regime to suit yourself. Students should to train regularly, as it will improve the skill sets quickly, and allows the sensei to follow each individual’s progress. How often you train is optional. Beginners usually train once a week, with those who are studying and practising for the Balck Belt 3 times a week is normal. Like any other skill, Ju Jitsu requires practice, to learn, to progress and to keep the skills sharp. In short, like anything else in life, the more effort you put in, the quicker you'll progress. Ju Jitsu appeals to all ages and can be practised by everyone. Members range from the ages of 4 years to about 82 years – one of our Black Belts took his 3rd Dan at 72! As with fitness, age is no barrier, for the Ju Jitsu student, and all can benefit from training. Juniors love Ju Jitsu. Children love to roll around, wrestle and chase one another, tussle and grapple – it is natural for them and the Dojo gives an excellent atmosphere where this exuberance can be channelled, whilst still making the experience fun. Juniors are encouraged to develop and improve skills throughout their Ju Jitsu training, and being naturally competitive, we usually give the youngsters a game or two at the end of the training session as a reward for working hard. We encourage children to enjoy the training sessions, however, a strict code is followed so that no child can be bullied, and all can build a healthy respect for themselves and others. Yes, Ju Jitsu is excellent for women, as well as for men. Many women choose to join a Ju Jitsu class because of the exercise, others because they wish to learn self-defence. The atmosphere at most clubs is extremely welcoming to women, and we have a large number of female Dan Grades within the Association. There are women training in the majority of our clubs. We also have a Ladies Fitness Classes which is for ladies only teaching fitness and Self defence. This will depend upon your size, maturity and ability - this will decided by us on your first attendance. In general, the rule is that at 16 years old, a student is "officially" classed as an adult, however, we have a number of students who have transferred to the adult training sessions early (at 15) and others who have remained in the junior ranks until 17 or 18. This is particularly the case with juniors training with a partner who is older / younger. We judge on a case by case basis. You will not be pushed beyond your abilities. Training is adjusted to the individual, so we ask you to do only what you are capable of, and no more. However, through the warm-up, and training, your fitness level will rise to a degree where you should be in a position to complete the warm-up after 6 weeks to 3 months. This is up to you - for most students the simple answer is yes it will. However, each individual is different, and training and learning to defend yourself is a great way to improve your self confidence. You will feel that you are in control and can face most situations. Self confidence is based on your own "view" of yourself, so if you feel confident when training, this will have a natural spill over into your normal life. In general, Ju Jitsu is very safe. There are occasional injuries, and these tend to be minor in severity. Like any combat sport, or indeed almost all sports, there is an inherent risk. Jikishin Instructors are trained to avoid injury, are all First Aid trained, and are familiar with Sports Injuries. The risk is generally low, as training sessions are carefully controlled and instructors are aware, and point out, where the risk of injury is higher. Competition is not compulsory, but does give you the opportunity to assess your skills against others of a similar grade. Competing is purely optional, however, we encourage those who wish to compete, and assist with training regimes, strategies, and practice for success in competition. Within Jikishin there is adequate scope and variety for those who enjoy competing, however competition is voluntary – not mandatory. The choice of whether to compete is entirely the choice of the student, provided that the student meets the competition entry criteria. Inter-club, National and International level competitions are held on a regular basis. In addition there are competition specific training sessions, and time at regular training sessions to dedicate to competition. It is apparent that there are few obstacles to those who wish to compete. The competitions at most events cover both junior and senior entrants, and your instructor will explain rules for each event. The BJJA (GB) are members of the Ju Jitsu International Federation, and under the umbrella of the BJJA (GB), Jikishin students are eligible for selection and entry for the World Games. 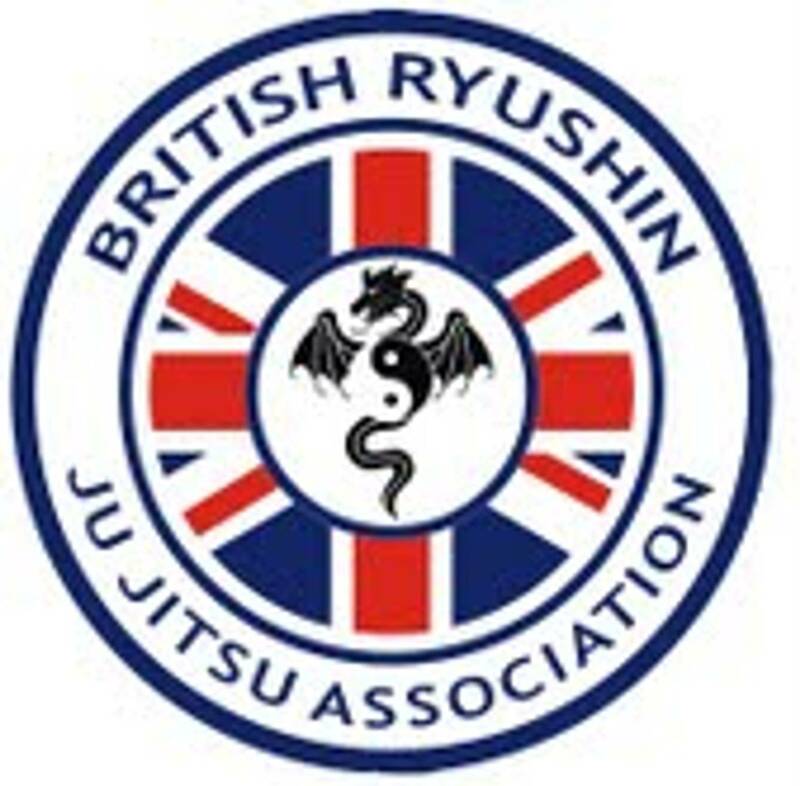 All students have to join the Jikishin Ju Jitsu Association, and this confers membership of the British Ju Jitsu Association (Governing Body) (although there is no individual membership of the BJJA (GB), membership is through the Associations only). There is an annual fee which includes all fees paid to the BJJA (GB) and Club and Association Membership are also included. There is a limited Insurance Scheme which is also provided - See Terms and Conditions on Insurance Certificate. There is a form to fill in, and once the initial membership fee is paid , the membership process is complete.